About seven years ago, shortly after my wife and I moved into our house, it started raining, and the roof began leaking. We hadn't been in the house a year, and so naturally we wondered if the previous owners of our home knew anything about this. But I hardly had time to dwell on the dampness of our new dwelling. About two months after filing a claim to have some roofers make some repairs, a lightning strike took out our sump pump in the basement in the middle of the night, and when I came downstairs in the morning, I was stepping onto a wet, mushy carpet underneath about two inches of water. Before the water even receded, we filed another claim, foolishly thinking that that's what a home owner should do. What can I say? We were young and stupid. Almost needless to say, we were told that our policy wouldn't replace the soon-to-be-molding carpet and received a check for a few hundred dollars to replace my damaged fax machine and other random items in my home office. Then, as anyone experienced in this sort of thing can predict -- our insurance dropped us. Our crime? Filing too many claims. Two in about six months, in fact. I still sometimes lie awake at night, feverish and guilt-ridden for having the temerity to use my home owner's insurance. But then, for a magazine article, I was recently interviewing Scott Simmonds, an insurance consultant in Maine who advises Fortune 1000 companies, and he told me something really interesting, an aside that I thought I'd share with WalletPop readers. And forgive me, for any of you who read this and think, "Duh--doesn't everyone know this?" Not me. I had no idea. 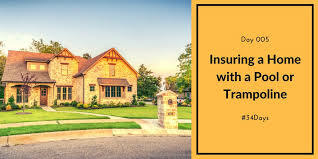 "In some states," said Simmonds, "when somebody goes to buy your house, they'll try to insure it, and generally about three days before the closing, the insurance company, if they see that there have been claims on the house, they may not sell your buyer home owner's insurance." As if people selling their homes need any more good news. What might happen in that case? The buyer may back out, of course, or they may end up convincing you to shave off a serious chunk of income before signing those papers. So the lesson to take away from all of this? To never file a claim on your house? Almost, but, no, says Simmonds. "Don't turn in small claims. You should have a big deductible and 'eat' small claims. If your roof leaks, and there's a little damage to your ceiling, don't even call your agent, just fix it yourself," advised Simmonds, not knowing my backstory or that just a week earlier, I filed another claim for our roof, which still leaks. And, sure enough, my home owner's insurance, an obviously different one than what I had years ago, seemed pretty cranky that I had called. Simmonds recalls a tree once falling on his own house. It bent up some gutters and tore some shingles off the roof. He never called his agent. He just put a little paint on his home and, in his words, "moved on," something I wish I had known to do. "Insurance should be for the big stuff, like a fire," says Simmonds. "It should be for the things we can't handle on our own." 0 Response to "Home owner's insurance tip "